We know that your make up must-haves and skin care saviours are precious cargo – that’s why we’ve crafted this ultra-covetable travel case. 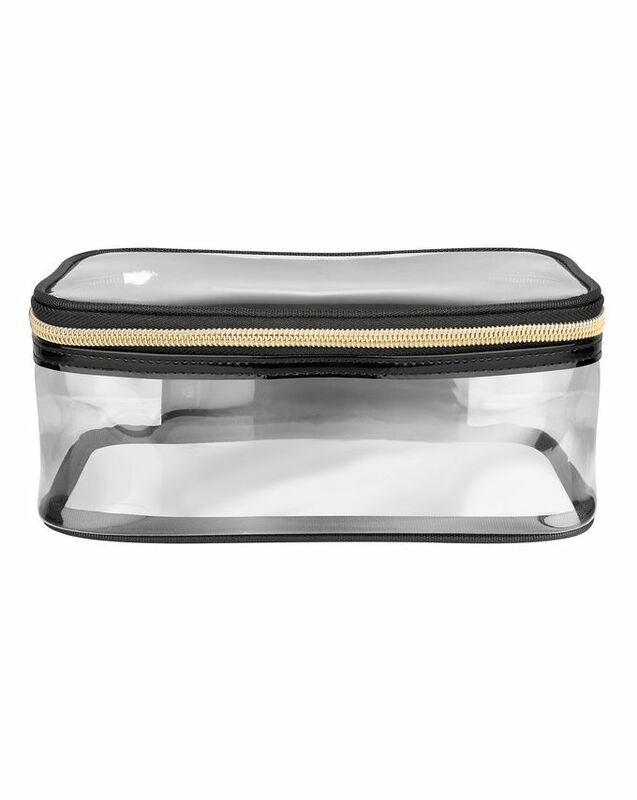 Transparent, trimmed in glossy black vinyl and finished with a distinctive gold-toned zip, it looks chic and shows off your latest haul – plus it’s conveniently wipe clean in case your stash suffers any spillages. Proudly display your Cult Beauty booty with our super-chic branded bag – an essential piece of kit for any self-respecting CB addict. 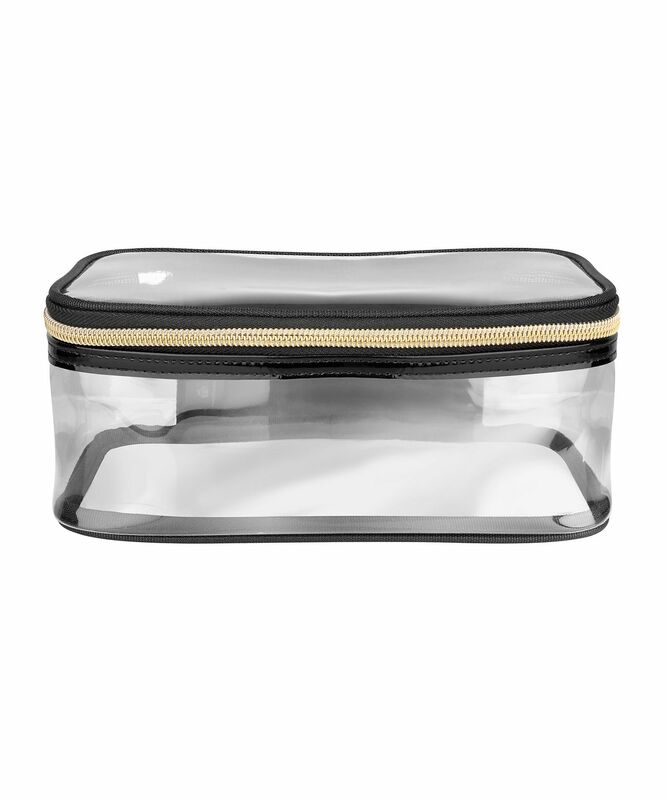 The perfect size for transporting your make up (and skin care!) essentials, this see-through patent wrap around case is trimmed with glossy black vinyl, embossed with our logo and finished with a gleaming gold-toned zip and a black enamel branded pull. Convenient as well as glamorous, the case is completely wipe-clean, so you can instantly mop up make up marks and skin care spillages. Use this case to house your daily beauty must-haves. Really like the bag, its a good size and really handy to fit in all my toiletries when travelling. The only thing i would say is that the zipper isn't great quality, the tag keeps breaking off and i have had to reattach it several times which is fiddly. Maybe i got a dud, the rest of the bag is great and very practical. I bought 2 of them directly and now I am thinking to buy a few more for my friends. Good quality and size, the must have for makeup addicts. My favourite make up bag of all time! 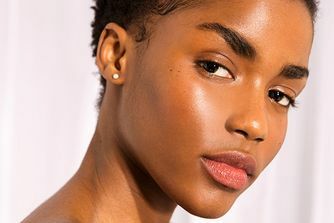 Great material and a perfect fit for my skincare. I like how it opens flat so I can access everything easily. I will be purchasing the small one for travelling too, love them! I really like this bag. Super practical as I can use it as a clear bag for traveling in my hand luggage. The quality is nice. It would be lovely if these were sold in various sizes. I would definitely buy all of them! Great material, perfect fit and you can see everything you put in there. Easy to clean and it’s not too big or too small. I bought 2 of these makeup bags and love it! ❤️ Highly recommended!!! Great material, sturdy and classy. The problem is it isn't that big, so I won't be able to use it to store my skincare whilst travelling. I don't go anywhere without my Cult Beauty travel bag. I use it daily as my make up bag and I have it with me. Have had it for year + and it still looks as good as new. Easy to clean too if any product opens or spills. Highly recommended! Brilliant size & it takes a lot of products & very light weight. Love this. I got this a promotion they were doing when you spent a certain amount of money. Absolutely love it. I keep all my brushes in it and I have a lot. Also perfect to keep your makeup in if you're stopping away I was able to fit in my Kat Von D shade and light palette for reference. A good bag for travel. Perfect size for my travel skincare. I will buy the smaller version for my travel make-up. I can recommend the bag. This is honestly the best makeup bag ever. My favourite thing about it is that its flat so any liquid makeup products I have can easily be kept in the same position (stood up etc) so they don't leak. It's also easier to find everything because everything has its own little section/ doesn't move around in the bag and I can see where everything is. Perfect for travelling too. HIGHLY recommend. This is the perfect size for flights and feels really durable. Zips easily too. Much more reasonably priced than similar clear bags on the market. Love love love the size, the length is just nice to fit my ABH eyeshadow palette, or a Tom Ford eye quad and a Marc Jacobs bronzer side by side, and still plenty of rooms to store other stuff! It looks like I was a bit more disappointed with the bag as other reviewers. I love it in theory, but to me, it seems incredibly cheap (similar to what you may get free with a perfume or cosmetics kit purchase). It's stiff and a bit hard to get into (I'm hoping the zipper holds up). It's attempting to be the Anya Hindmarch makeup case, which is of course completely overpriced, so it's a great deal compared to that, but for me, I will still be searching for the perfect clear case. I bought the bag, unaware of its size, but I assumed , considering the price for a clear bag , it would be medium sized but it was ridiculously small I couldn't fit anything inside. Perfect for flying - goes through security without a hitch. Perfect make up bag for travelling, very handy with the zipper. Also good quality.